Birdland Kissa is a night which fuses the ‘Jazz Kissas’ of Japan, cafes where Jazz heads can listen to their favourite records on high quality audio systems in a comfortable listening environment, with the energy of South London, home to a broad range of new Jazz talent, as well as a spectrum of other talents. We present a mixture of Jazz, Soul & Funk DJs and records over a few hours on a in the hope that we can share these beautiful sounds with like-minded individuals, and create a great vibe and home to all. 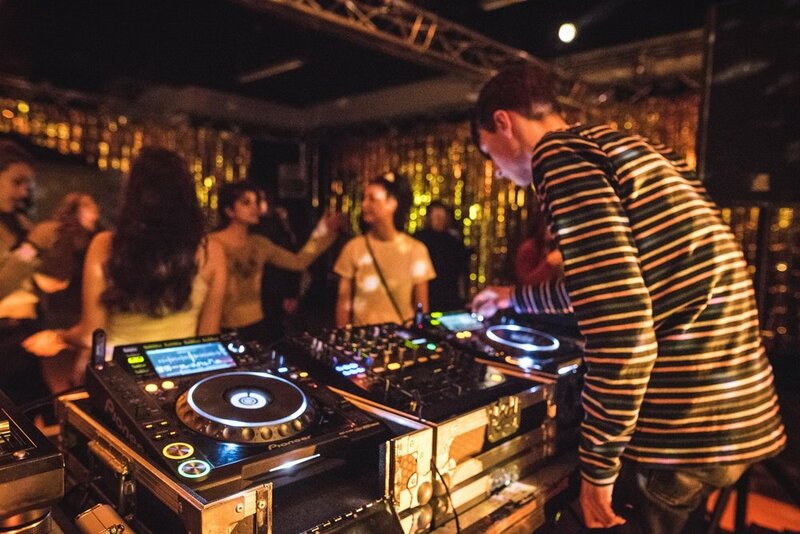 Birdland Kissa will be hosting an ongoing residency at Near & Far in Peckham Levels, showcasing a selection of great local DJs on the London Jazz, Funk, Soul & Disco scene. DJ, Broadcaster and Music Journalist Tina Edwards hosts Worldwide Daily on Worldwide FM and runs Supreme Standards, a new platform in association with Love Supreme Jazz Festival. She's recognised as being at the forefront of the new genre-crushing Jazz scene and has played across the UK, Chicago and Singapore, opening for DJ Amir, Henry Wu and Grammy nominated Keyon Harrold. She sometimes has accidental 'resting-serious-face' when DJing but she totally encourages you to express yourself during her sets. Big-haired music head and miniature-sized, Delia is actively and proudly involved in a wide range of exciting projects: Wah Wah 45s, First Word Records, Total Refreshment Records, Soho Radio, Mashibeats Records and The Expedition Radio Show x Dash Radio, all whilst always trying to bring other series of ideas to life. I am proud to present an exclusive one-off Birdland Kissa show with critically acclaimed soul man, Mr Jukes. Mr Jukes will be presenting a selection of Jazz focussed records in the intimate settings of Behind This Wall for one night only. Mr Jukes’ debut album ‘God First’, which saw collaborations with Lianne La Havas, Charles Bradley and De La Soul, presented a breathtaking trip through Soul, Funk and Jazz which Clash Magazine described as “one of the most exciting and unexpected releases of 2017”. Jack will be presenting his wealth of Jazz records to provide an unadulterated view into the inspirations behind Mr Jukes. Birdland Kissa will be presenting our first club night at Goldsmiths SU with the mighty Stevie Wonderland. The Stevie Wonderland parties are legendary on the London circuit, providing the perfect feel-good atmosphere. Their expertise will be brought center-stage for this night with a two hours set from the selectors themselves. Warming up in main room we have the wonderful GIRL (Balamii) who will be providing a funk-fueled trip to get the early-birds dancing. Room Two will feature YAM Records, a staple of the South London music scene and expert selectors, as well as the Soul Control crew locking down the warm up slot. 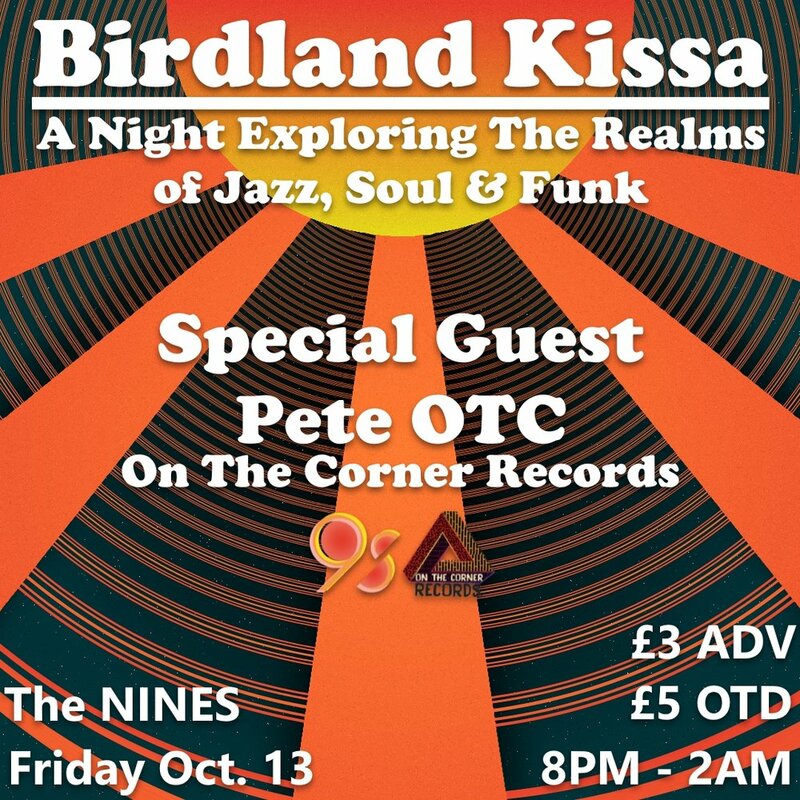 For our final night of our first residency, back at local hotspot The NINES Peckham, we hosted our first late night show with Pete OtC from esteemed label On the Corner Records. On the Corner Records were selected as label of the year at the Worldwide FM Awards, with good reason. Pete curates a wide ranging selection of electro-infused afro-futurist jazz from all corners of the globe - a sound that has taken him across the globe. He was the perfect first guest for the Birdland Kissa series. Live at Do You Want To Funk? !